Your computer is not secure without antivirus. Period. This means no matter how much technology improves, no matter how many OS(es) – be it Windows, Linux, Mac or others – come up with their own inbuilt security tools, your computer will not be immune to security threats – unless it is protected by a dedicated computer antivirus software. Why, you ask? Let's take a look at the answers. Inbuilt Security Systems Are Predictable: Since inbuilt security systems are associated with the respective OS, they become easily predictable over time. All the hacking community has to do is study the OS to crack its inbuilt security system. Unfortunately, this can be done pretty easily. In other words, to be unpredictable, the security system should be separate from the OS and not inbuilt. Inbuilt Security Systems Offer Only Baseline Protection: It has been proved by many security experts through various security tests that many OS inbuilt security systems offer only baseline or minimal protection which is more often than not, not enough. Because, well, baseline security is no security at all in today's dangerous cybersecurity landscape. If you're a simple surfer, who only uses the internet for checking mails and social networking sites, then maybe inbuilt security system will suffice. But if you're someone who downloads torrent related files, then a dedicated computer antivirus software is an absolute must. In other words, it unwise to attempt risk-involved surfing without antivirus installed in your computer. Of course, free antivirus software alone may not be enough. But think of it this way: something is better than nothing. And that something is definitely better than depending on a vulnerable OS inbuilt security system. Above all, remember that the core technology would be the same for both free and paid versions. Therefore it's better to at least have a free antivirus installed than have no antivirus at all. Comodo antivirus, which makes use of Default Deny Approach, is the best Computer Antivirus Software in the security industry that protects your PC(s) effectively against the evolving malware with minimal fuss and maximum protection. 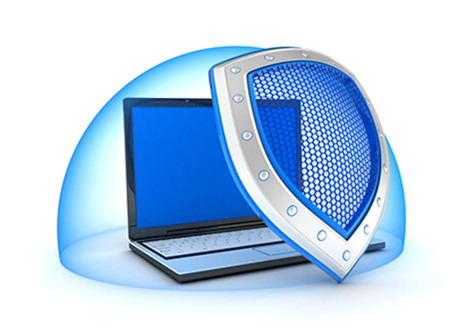 It is one of those few computer antivirus software which offers top-notch security features like Containment, Auto-Sandboxing, HIPS, Viruscope (unique to Comodo) for free.